This scenario is mainly about disclosure of confidential information. the patient is usually newly diagnosed with epilipsy or diabetes (insulin in HGD). the patient will usually have his own reason to continue driving. after establishing that the patient is still driving, explain this is illigal. explain he is banned from driving for a certain period e.g 1 year for fit. explain the insurance policy is now invalid. 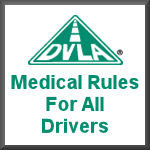 advice the patient ti inform the driving authorities. remain calm in face of mild aggressive and emotional behaviour. within reasons to inform them yourself. patient to confirm the disclosure has been made. authotrities.patient consent is not needed. 5-legal aspects-detailed knowledge of medical law is not required. it would be rendered invisible. She's on the floor, she was told to pack up and get out. You can check this site to get a part to fix her hot water heater.